Birthday parties at KONG Adventure could not be easier, simply select your activity and food requirements and let us handle the rest. We can provide you with party invitations to send out, instructed activities*, a reserved table in one of our castle themed tables and we can even provide you with party bags** for the children to take home upon request. Under the safe supervision of one of our instructors, we will provide a fun and exciting climbing experience. 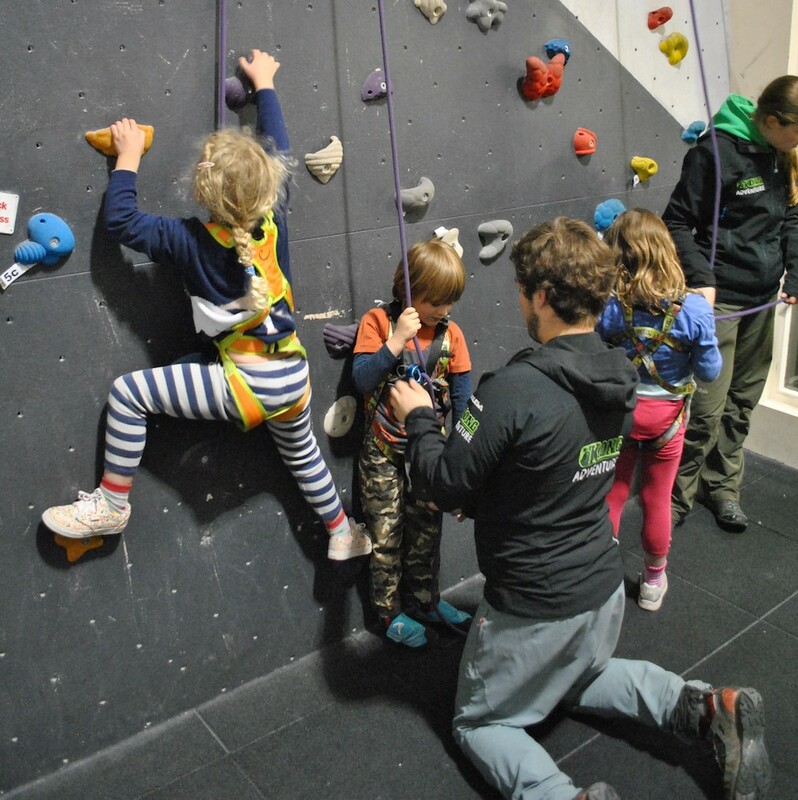 We endeavor to involve as many children as we can by getting them to belay and help each other, encouraging teamwork and communication skills. If parents or adults wish to help out, this is welcomed. This party has the kids exploring our exciting caving system which includes a vast network of tunnels and cavern that includes stalactites, stalagmites, crystals, fossils, and cave drawings. The remaining time of the 1 hr 30 will then be spent climbing in the KRAZY KONG, on our fun themed climbing walls under the care of one of our instructors. If parents or adults wish to help out, this is very much welcomed, it can greatly aid the session and its quality. This is another great option for a children’s party, providing a great deal of fun for all. 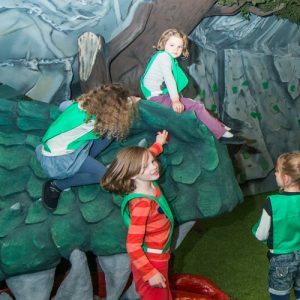 This option allows children to play in the Hard play area for up to 2 hours exploring the tunnels and turrets of the castle and the caves, they can play on the bouldering section, rope bridge, there is even a smoke-breathing dragon to keep them company. This is an option that requires parental supervision. Please note that the 2 hour time period includes food. You can decide when you would like this to be. This option provides children with a combination of activities, combining the Hard Play Area and Caving parties. The children will initially be kitted up and briefed by one of our instructors, before setting them off alone to explore our exciting caving system. They will experience a network of tunnels and a vast cavern that include stalactites, stalagmites, crystals, fossils, and cave drawings. Any remaining time will then be spent in the hard play area (under parental supervision). If you have any special requirements or requests, please do not hesitate to let us know and we will see what we can do to accommodate these. Our Birthday Parties are designed to provide maximum fun for the kids and minimal stress and hassle for the parents. We can provide party bags at £4 each upon request. • Vegetarian options and other dietary requires can be catered for upon request. We host a variety of kids parties. See our birthday parties page for more details.